McMath Woods has received a First Tier ranking in Little Rock in Personal Injury Litigation – Plaintiffs by U.S. News – Best Lawyers® “Best Law Firms” for 2015. - McMath Woods P.A. Home » McMath Woods has received a First Tier ranking in Little Rock in Personal Injury Litigation – Plaintiffs by U.S. News – Best Lawyers® “Best Law Firms” for 2015. Published on Dec 17, 2014 at 8:20 pm in 2015 "Best Law Firms", Best Lawyers, First Tier ranking, Little Rock, U.S. News, Uncategorized. We are pleased to announce that McMath Woods P.A. has received a First Tier ranking in Little Rock in Personal Injury Litigation – Plaintiffs by U.S. News – Best Lawyers® “Best Law Firms” for 2015. WASHINGTON November 3, 2014 — U.S. News & World Report and Best Lawyers, for the fifth consecutive year, announce the 2015 “Best Law Firms” rankings. The 2015 rankings are based on the highest number of participating firms and highest number of client ballots on record. 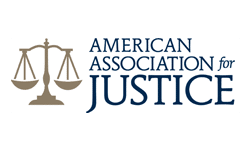 To be eligible for a ranking, a firm must have a lawyer listed in The Best Lawyers in America, which recognizes the top 4 percent of practicing attorneys in the US. Over 17,000 attorneys provided almost 600,000 law firm assessments, and almost 7,500 clients provided more than 40,000 evaluations. Awards were given in 74 national practice areas and 120 metropolitan practice areas. One “Law Firm of the Year” is named in 73 of the nationally ranked practice areas. The 2015 “Best Law Firms” list will be featured in two publications, distributed later this month. The national first-tier rankings will be featured in the second edition of the “Best Law Firms” Legal Issue, which will be distributed to over 30,000 C-level executives. National and metropolitan first-tier rankings will be featured in the “Best Law Firms” General Counsel Publication, which will be distributed to more than 30,000 in-house counsel and in digital format to more than 60,000 private practice lawyers worldwide. The 2015 “Best Law Firms” rankings can be seen in their entirety by visiting bestlawfirms.usnews.com.